This book surveys developments in sacramental and liturgical discourse and discord, exploring the writings of English and Scottish divines, and focusing on baptism and the Lord's Supper. The reigns of James I and Charles I coincided with divergence and development in teaching on the sacraments in England and Scotland and with growing discord on liturgical texts and the ceremonial. 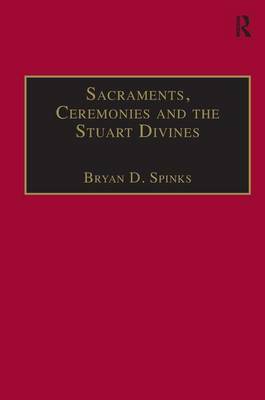 Uniquely focusing on both nations in a single study, Bryan Spinks draws on theological treatises, sermons, catechisms, liturgical texts and writings by Scottish theologians hitherto neglected. Exploring the European roots of the churches of England and Scotland and how they became entwined in developments culminating in the Solemn League and Covenant and Westminster Directory, this book presents an authoritative study of sacramental and liturgical debate, developments, and experiments during the Stuart period.